Discretion and privacy are basic rights that people have come to expect and deserve; this includes individuals in treatment for substance use disorder (SUD). Although it’s a critical phase of the recovery process, treatment can create many vulnerable moments that SUD sufferers would consider less than dignified and rather not have anyone see. The Substance Abuse and Mental Health Services Administration (SAMHSA) reports that of the more than twenty-one million Americans who meet the criteria for addiction treatment, only about 10 percent actually receive it. While lack of access is a fundamental reason for this disparity, many patients also avoid rehab because they think it will be an uncomfortable and jarring experience. 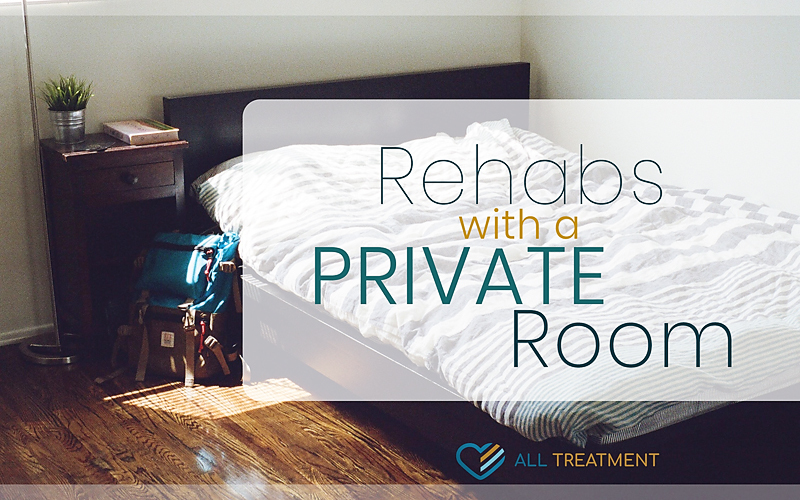 Rehabs with a private room give patients a sense of privacy, safety, discretion, and comfort that can be a critical factor in the substance abuse treatment process. How Do I Find Rehabs with a Private Room? The scarcity of treatment resources versus the need for quality addiction care has meant that rehabs with a private room are found primarily at private facilities. There are over twenty-one million Americans struggling with SUD and fewer than twenty thousand treatment organizations; this includes private, state-funded, and all other types, according to the National Institute on Drug Abuse (NIDA). It’s difficult enough for state and county-funded treatment facilities to accommodate patients and keep up with waiting lists, let alone offer private rooms. Patients searching for rehabs with a private room should narrow their criteria to private facilities to cut down on unnecessary time and effort. Rehab is a necessary component of the recovery process, but it can cause patients to feel exposed, uncertain, and stripped of their autonomy, particularly in the initial phases before they regain their lucidity and start to embrace the process. Patients who have a private room with their own space, privacy, and sense of separate personhood are inclined to feel more relaxed, confident, and receptive to the behavioral rehab process. Having their own space also provides a sense of empowerment. Little things like maintaining one’s surroundings and having a place to go after what is an often-arduous journey of personal reflection can make all the difference between successful completion and relapse. Private rooms are an especially vital resource for those who have experienced trauma and are reluctant to be around strangers during this emotionally vulnerable point in their lives. The Affordable Care Act (ACA) and other significant changes in health care legislation have considerably increased access and affordability of treatment by making substance abuse treatment and mental health an essential health benefit; however, this access has, thus far, extended primarily to publicly funded treatment centers. State Medicaid subsidies for substance abuse cover treatment organizations funded by the state. Patients with higher-tier employer-based health insurance may be able to have all or part of their treatment covered. Each facility’s admissions department will be able to answer any questions regarding insurance eligibility. Many private treatment centers work with most major insurance providers, depending on the scope of treatment. With first-time relapse rates being considerably high in the addiction treatment landscape, patients deserve every resource available to help them achieve long-term abstinence and continued growth. Privacy, discretion, and dignity during the emotionally charged rehab process can mean the difference between continued success and discouragement that can lead to a setback. More and more private facilities are offering rehabs with a private room to offer this basic sense of comfort, independence, and peace of mind. Seek the help you need now, and consider whether this benefit of treatment might make the difference.